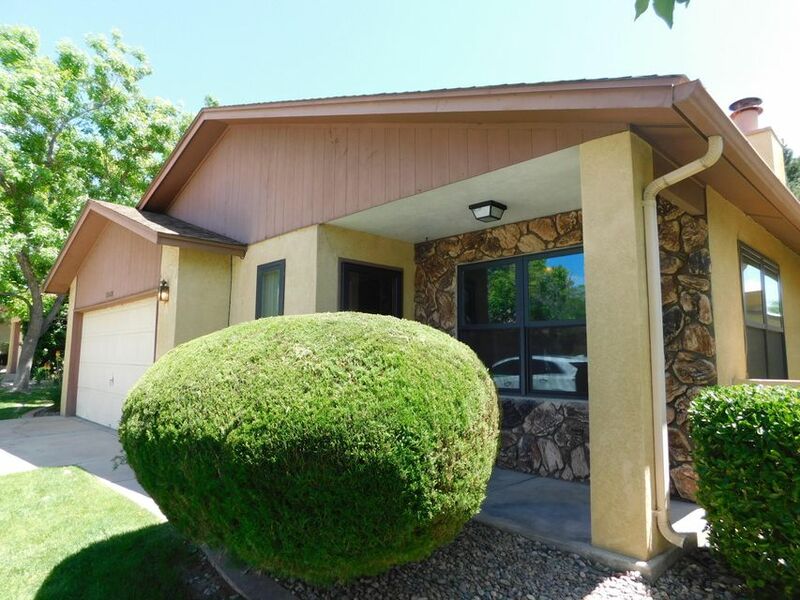 Price reduced on this up-dated 2 story home in the beautiful community of towne park. Freshly painted, new carpet, new stainless steel appliances, re-surfaced counter-tops in kitchen and bathrooms all done in the last 6 months. Large master bedroom with new ceramic tile in shower. All new toilets. New roof installed in august 2018. Living room / dining room area in front and a large second living area in the back with a wood burning fireplace. Breakfast nook off the kitchen area. 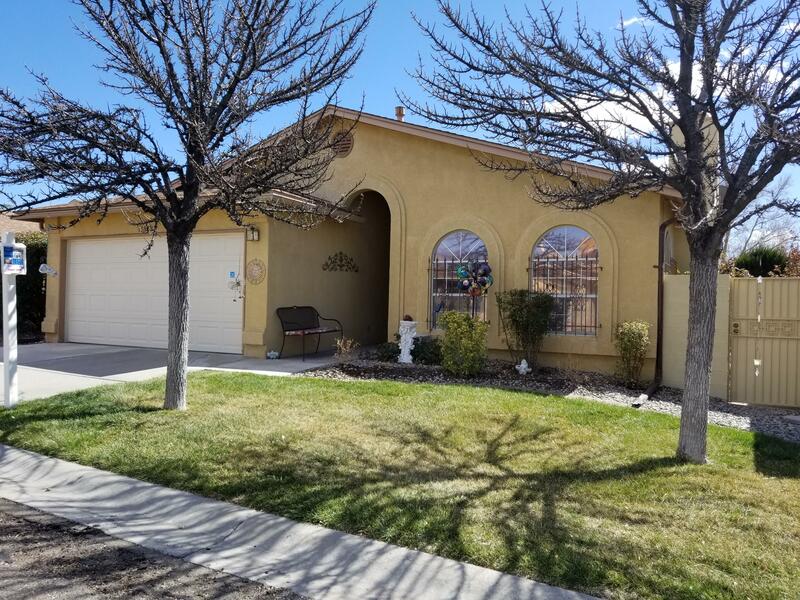 Hoa fee is $115 per month and covers front yard maintenance, privacy gates, 2 pools, 2 parks, clubhouse, tennis courts, workout room and more. Land is leased for $123 per month or can be purchased from the hoa for $27,000. 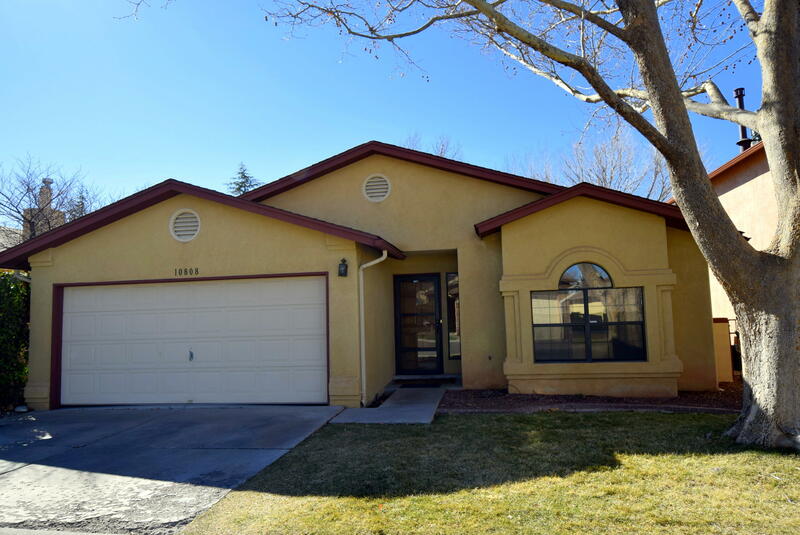 Close to kafb, sandia labs, restaurants, shopping and i-40. 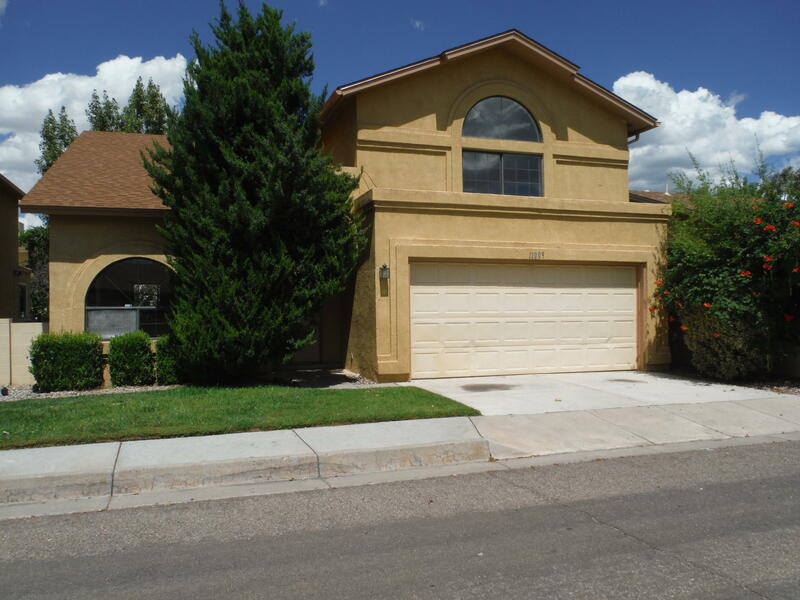 Well maintained 2 story home centrally located in the towne park gated community. 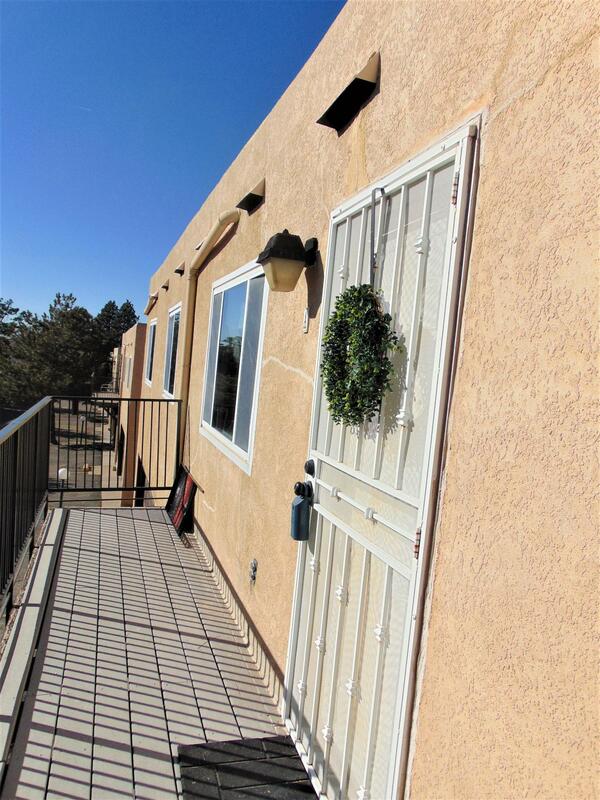 2 bedrooms downstairs with full bath and master bedroom and office upstairs for maximum privacy. All appliances stay with the home. Beautiful back yard off the kitchen with mature trees and rose bushes and a nice deck with pergola for entertaining. Community boasts a clubhouse, 2 parks, 2 pools, tennis courts, workout room, privacy gates and walking trails. 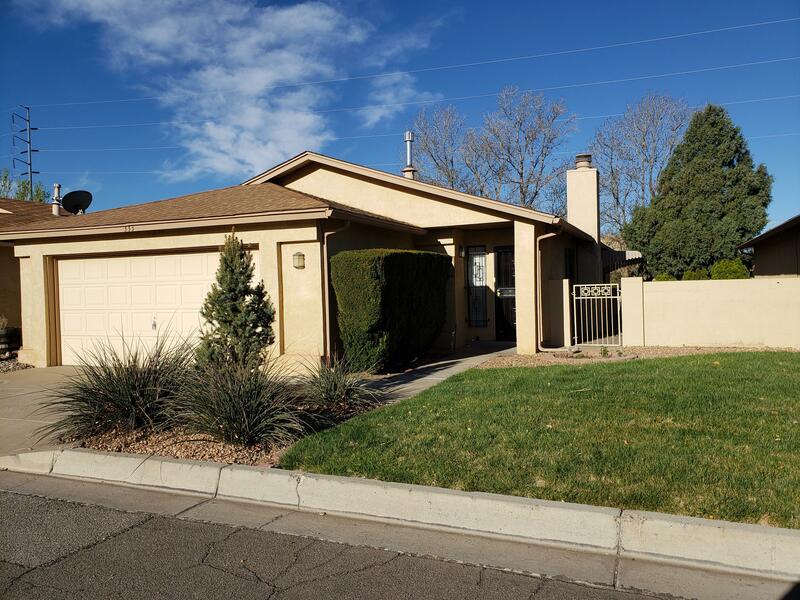 Convenient location close to i-40, kafb, sandia labs, shopping, restaurants and much more. Don't miss the opportunity to see this great home! Move in ready into a clean 1 story house. Tall ceilings, sky lights and open floor plan, views of the backyard, private lot will impress you. Master located separate from other bedrooms. Nice fireplace, newer carpet and new roof. Home price includes lot. Hoa covers security gated access, 2 outdoor pools, tennis courts, exercise facility, com center, neighborhood & front yard landscaping.